It is hypothesized that beer (or at least the precursor to beer-like concoctions) was probably developed independently in different parts of the world. In fact, some believe that beer was actually the by-product of cereal-based agriculture, with natural fermentation playing its part in the ‘accidental’ lead up to the brewing. This dawn of proto-beer making possibly harks back to the early Neolithic period, circa 9500 BC. However, beyond the scope of localized variants of beer-like concoctions, historians are certain of one aspect from this parcel of history – the oldest known standard recipe for brewing beer comes from ancient Mesopotamia. 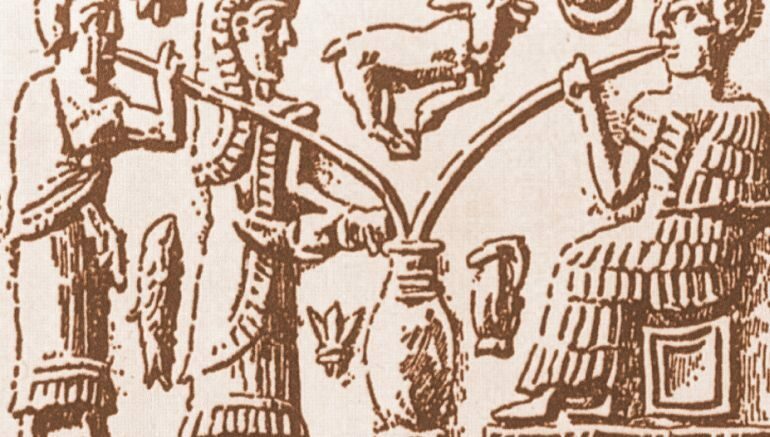 Simply put, the first deliberate production of beer (or ale) in history can be attributed as one of the achievements of Sumerians, with the evidence of the oldest known surviving beer recipe contained within a 3900-year-old poem – Hymn to Ninkasi. 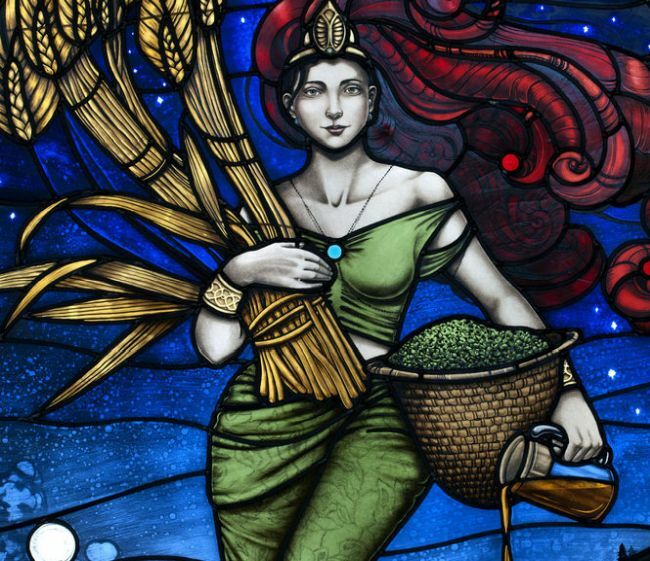 Now in terms of Mesopotamian mythology, Ninkasi was the ancient Sumerian tutelary goddess of beer (and alcohol). Symbolizing the socially important role of women in brewing and preparation of beverages in ancient Mesopotamia, the entity (whose actual depictions have not survived the rigors of time) historically also alluded to how beer consumption in itself was an important marker for societal and civilized virtues. [The brewers] were able to taste ‘Ninkasi Beer’. sipping it from large jugs with drinking straws as they did four millennia ago. The beer had an alcohol concentration of 3.5%, very similar to modern beers, and had a ‘dry taste lacking in bitterness,’ ‘similar to hard apple cider.’ In Mesopotamia hops were unknown and beer was produced for immediate consumption, so the ‘Sumerian; beer didn’t keep very well, but everyone connected with the reconstruction of the process seems to have enjoyed the experience. Coming to the historical scope of beer consumption, while its first known literary evidence, in the form of the Hymn to Ninkasi, dates from circa 1800 BC, the ‘brewing song’ in itself is undoubtedly older. In other words, beer was made and consumed in Mesopotamia long before the onset of 19th century BC. In fact, archaeological evidence for brewing beer in the Mesopotamian region dates back to circa 3500 BC (or possibly even before), with researchers being able to identify chemical traces of beer in a fragmented jar at the ancient Sumerian trading settlement of Godin Tepe, in modern-day Iran. Interestingly enough, a different clay tablet dating back to circa 3300 BC (pictured above), salvaged from the Sumerian city of Uruk, depicts a human head eating from a bowl and drinking from a conical vessel. The bowl represents ‘ration’, while the conical glass alludes to consumption of beer. 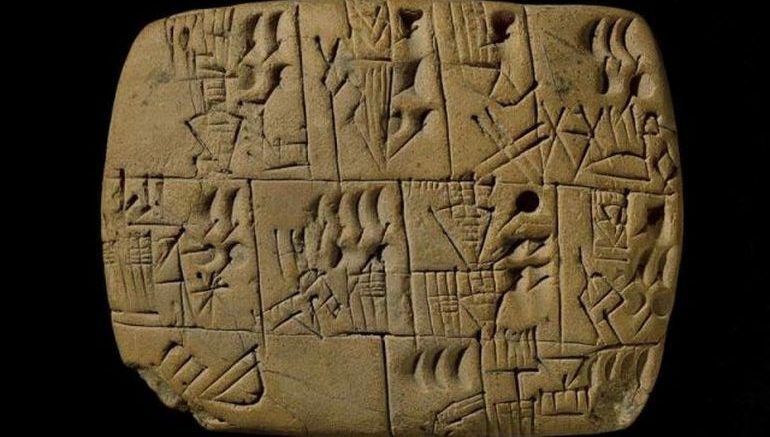 The tablet also consists of cuneiform records of the quantity of beer being assigned to each worker. In essence, the ancient Mesopotamian artifact is the world’s oldest known payslip that rather hints at how the hierarchical system of workers and employers existed even five millennia ago – and they were possibly connected by exchange of beer, instead of money as we know today (which was invented around three centuries later).